As a student of history and writer of alternative history, I am always on the hunt for historical accounts of both people and events that may not have made it into traditional textbooks. This month’s selections focus on two areas often ignored: wealthy blacks in the early 1900’s and the relationships between blacks and Native Americans. Both are fascinating topics that will add depth to the worlds that I build for my stories. 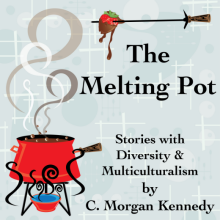 Let’s add the rich flavors of untold histories to The Melting Pot.